Subaru today unveiled the production version of its highly anticipated BRZ sports coupe at the Tokyo Auto Show 2011. With 200PS and 151lb/ft maximum torque in a car weighing just 1,220kg, the BRZ has been designed for maximum – and accessible – driving enjoyment. 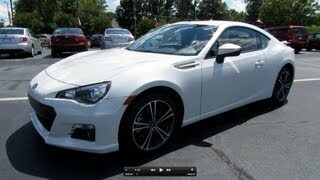 SUBARU BRZ is a rear-wheel drive sports car featuring the Horizontally-Opposed Boxer engine. It was developed as a joint-project between Subaru and Toyota Motor Corporation, to bring to the world a sports car with superior steering response and driving pleasure that everyone can experience. 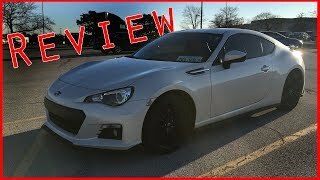 The Subaru Boxer engine in BRZ was positioned even lower than other Subaru models so that BRZ has one of the lowest possible centers of gravity on the market today. This low center of gravity produces astonishing handling character and combined with a light weight chassis BRZ realizes Subaru`s aim for "Pure Handling Delight" -- the driving experience taken to a new level. 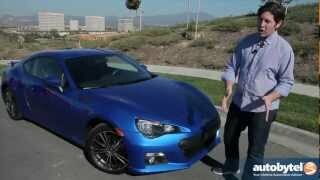 The product concept of BRZ is "Pure Handling Delight". The Horizontally-Opposed Boxer engine has inherent qualities of low center of gravity, lightweight, and compactness. These attributes are maximized by placing this engine even lower and closer to the center of the chassis. 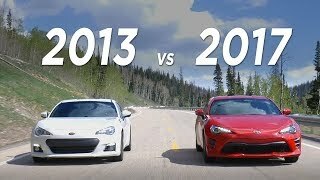 These factors contributed to BRZ's low center of gravity - one of the lowest possible. 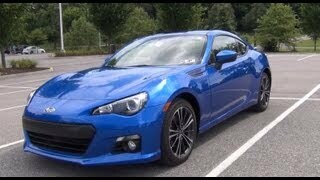 BRZ is a fun sports car that any driver can enjoy driving with peace of mind. -"Ultra-low Center of Gravity Package"
BRZ has a low-mounted Boxer engine on a specially designed chassis layout that forms an "ultra-low center of gravity package". With this arrangement, BRZ achieved a low driving position typical of a sports car. It has a low and wide body of a stylish coupe with overall height and width of 1,300 mm and 1,775 mm respectively. Yet, it allows for 2+2 seating and a trunk with ample space. Not only is BRZ a sports car, but it can also be a suitable partner for long tours with its unexpected utility. Subaru aimed for a sports car design that instinctively conveys its fun-to-drive character. In addition, it was detailed to be instantly recognizable as a Subaru. The low center of gravity enhances BRZ's sensuous beauty with its shapely fender flares. The aesthetic beauty is combined with functional beauty that advances aerodynamics through such areas as the C-pillar shape, rear glass inclination and trunk lid layout. As would be expected from a sports car, the front and rear overhangs were shortened to express BRZ's liveliness. The front fender is accentuated with a distinctive garnish. The projecting rear wheel arches sit by way of contrast to the compact cabin and emphasize the beauty of BRZ`s rear view. - A tachometer with digitally-displayed speedometer is placed in the center of the gauges sothat the driver can instantly see information without diverting attention from the road. Making full use of the design concept of the new-generation Boxer engine, the newly developedengine made exclusively for BRZ is highly efficient with superior output and environmental friendliness. It realizes an exhilarating high revving nature of a naturally-aspirated sports engine. - It has square bore and stroke of 86x86 mm. - Due to the joint development with Toyota Motor Corporation, Toyota's direct injection andport injection technology "D-4S" was incorporated in BRZ`s power unit. - To achieve the "ultra-low center of gravity package" , the engine as a whole has been made morecompact by such means as adopting the shorter intake manifold and the shallower oil pan. The joy of sports car driving was realized through a transmission that focuses on shift feel andresponse. respond faithfully to the driver's inputs. The lightweight yet highly-rigid body was developed exclusively to maximize the advantages ofthe "ultra-low center of gravity package" . - The body has a rigid and durable frame structure that also works in balance with the vehicle's light weight. The rigidity is optimized for high driveability and appropriate durability is maintained for collision safety. - High tensile steel was used in the body for weight reduction. Effective use of this material in the upper structure of BRZ contributed to its low center of gravity. Excellent maneuverability and stability of the " ultra-low center of gravity package" offer direct and sharp response to steering and enhance the driver`s connection to the car. - The front suspension employs struts for light weight and high rigidity while a double wishbone layout is adopted at the rear for better shock absorption. - To gain a low front hood from the 'ultra-low center of gravity package', the front strut mount was lowered while maintaining the stroke. - The tires are 215/45R17 (average value) combined with lightweight and highly rigid aluminum wheels. - All BRZ models are equipped with electronic stability control to provide both driving pleasure and safety.